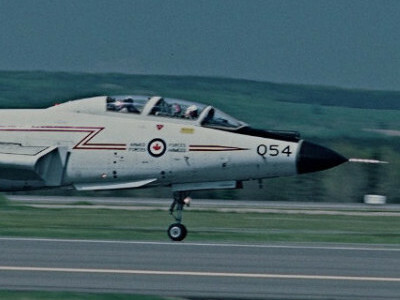 The CF-101 Voodoo served with the RCAF between 1961 and 1984. Designed by McDonnell Aircraft, as part of the ‘Century Series’, it first flew in 1948. Voodoos, capable of over 1,800kmph, it was used as an interceptor aircraft to deliver nuclear weapons to defend against air attacks during the Cold War. The Museum’s example was flown to Halifax in February 1985. 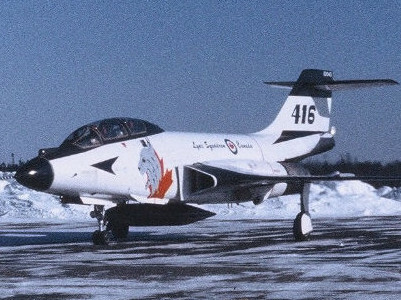 It served with 416 Squadron, based at CFB Chatham, New Brunswick, and at the time of its retirement was painted in a commemorative 416 sqn scheme to help celebrate the 60th anniversary of the RCAF.